A year after my first build I was craving another hit. I had strung out my time enjoying my first ever PC, but the urge to build was too strong. Luckily for me, my GF's old acer laptop had just gotten to the point at which it was no longer viable, and I happened to have a good chunk of savings to blow on something new. This little thing puts my PC to shame, and I am jealous. Not only is it half the size, it's much faster and and much better looking. (see my previous completed build form 2015 for the old PC details) Even though I got some cheap parts like the crucial RAM, this thing is great for modern games. It runs stuff like KF2 at 1080p on high settings with no perceivable stutter or lag when connected to a good multiplayer server. It's beautiful on the outside. Horrible cable management, just like all my builds. But it works and it stays cool. I can always tie things back later. Not THE top of the line CPU, but a damn fine one regardless. I was concerned about the lack of hyperthreading, but it works and it works well. It runs cool under load even with a stock cooler. Low priced, no bells and whistles. 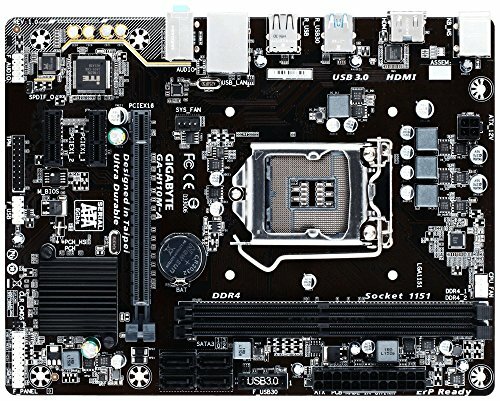 Just a good old motherboard that works well for the price. No OC ability, but this is not an overclocking PC by any means. Has USB 3.0 headers and a great bios. Simple, easy, effective. Being the easiest part of the PC to replace, I chose a replaceable part for it. It runs well, and hasn't burnt out yet. Eventually I can add better RAM if it really matters, but right now this does the job it's intended for. Bought because it was the exact same clocks and timings as my Crucial 8GB, while being the cheapest on the market at the time. Finagled it into my build and it worked instantly. No bios work done, just popped it in and the PC did the rest. Nifty. Would recommend for someone upgrading their 8GB to 12GB or something of the like. The SSD is small, but it runs so quickly. This thing is great. And if storage is ever an issue, it's amazingly easy to drop in a 1TB HDD later on down the road. Salvaged it from an old PC, and it still runs great. 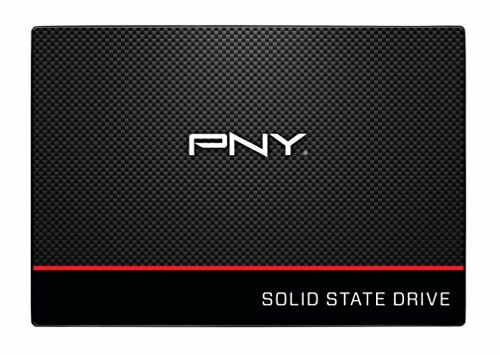 This isn't my boot drive, but a drive for games. I keep a few on it at a time, and it drastically improves load times over my HDDs. It isn't the fastest SSD you can get by any means, but I do enjoy the speed it affords me. Definitely would recommend if you find it for the right price. A salvaged HDD from I don't even know when. It's been going a long time and it'll be going for a time longer. These old things last quite some time. Not enough space for my liking though. You can get higher capacity these days for a relatively good price. Got it almost on a whim when my storage was running low. This postponed the addressing of my video game hoarding problems and allowed me to collect them all year long. It's a massive drive, but I do intend to fill it before getting something bigger in the same fashion I bought this one. I'm hoping 10TB is readily available when it's finally time for me to upgrade my 1TB that sits beside this one. Got it on sale, but I forget the price. Needless to say it didn't really matter all that much as I needed something like this regardless of what I was paying in order to continue my lifestyle choices. Get it on sale and you'll enjoy the space. I run most of my games off it. Also it has a loud, nostalgic HDD noise that those of use who have been around a while may find quite enjoyable. No it isn't breaking, it just sounds like that. This is my first ever GTX GPU, and I must say it runs smoothly. It stays cool. It has never even stuttered on any game that has been thrown at it. If you want the new budget GPU, the 1060 is a great choice. I'm interested in seeing if the 1050 TI is actually good enough compared to the 1060, but for this build I wanted something that would be relevant for a few years at least. Yes, I could have gone with a 480. But the 1060 was cheaper than any 480 at the time, and the 480 at the time was not as efficient. Worth every penny to me. For a MicroATX case this is pretty good. Watch out for sharp edges though. I cut my hand pretty badly trying to pick it up. The price was a little high, but it looks so cool I couldn't resist. One major issue is that the case warped a bit, so the motherboard didn't line up absolutely perfectly with it's back plate. 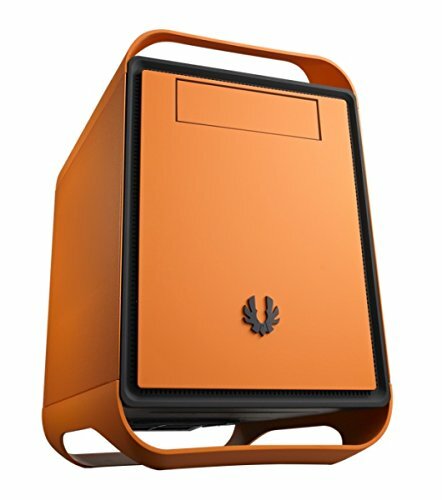 For anyone who wants the best of the best, this case might be a bit of a disappointment. But the standoffs keep the motherboard from frying on the case, and everything holds steady and doesn't vibrate apart or warp further than the initial installation. This was a purely aesthetic choice, and I stand by it. The name says it all. 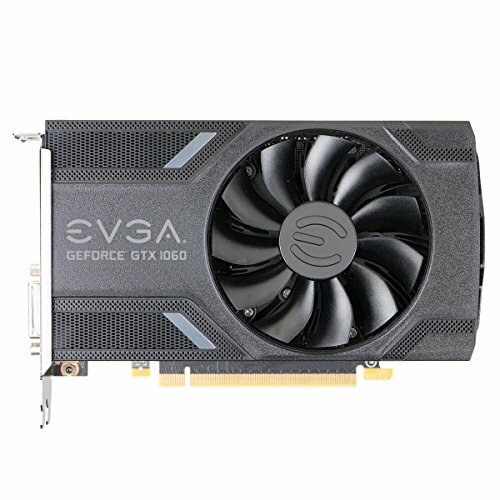 If you want the best PSU, EVGA is going to do you well. I don't really even look at other brands while mocking up parts lists, unless there's some sort of special deal on one of the top 10. 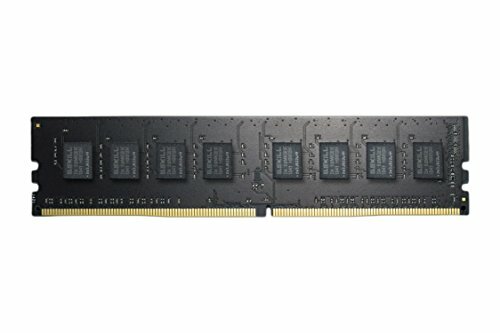 IMO the RAM you have is fine, if you spend more money on RAM buy more not "Better". That was the plan, yes. Crucial has never done me wrong in the past. Cool build man. More pics please! Thanks. It was actually quite fun to build. If I ever get around to posting more pictures I'll leave another reply to this comment. 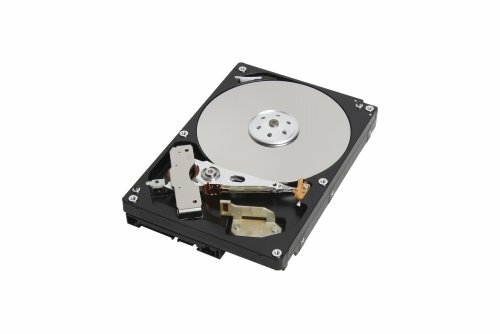 Dropped in as many hard drives over time as the build could fit. 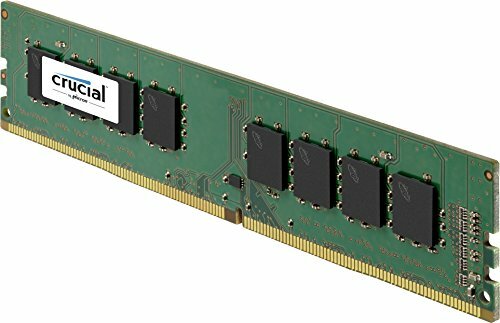 RAM is on it's way, finally. Decided to go asymmetrical with a 4GB stick to add to the 8gb stick. Latency, clocks, and timings match. Updated build to reflect what's in the PC today. It has grown slowly over time, and hopefully the new GPUs coming out soon will give it another chance to grow even more. I'm so pleased with what this PC has afforded me these past two years. Added 2 HDD (one salvage the other a sale I forgot the price of), 1 more SSD (salvage), and 4GB RAM(price marked is shipped). Hoping to add a new GPU soon, but we'll see. 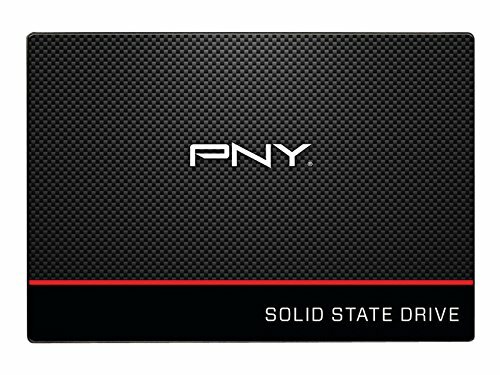 GPU on it's way. Trading the old GPU for a new(er) CPU if I can swing the deal. 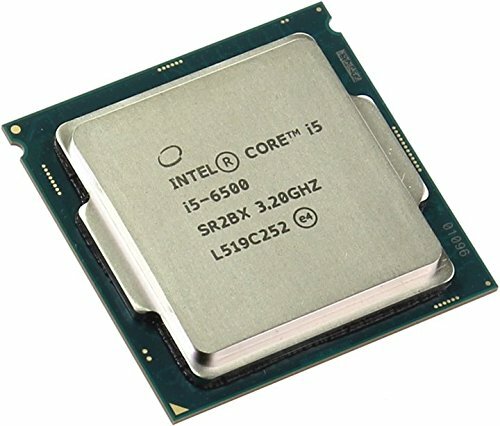 Hoping for a 7th gen, as it should be compatible with the mobo with a bios update.